Novelist, author of "Francesca" and "The Insider's Guide to Betrayal"
No one familiar with Indonesia’s history should be in the least surprised at the indifference its government displayed to world leaders and human rights activists pleading for the lives of the eight drug traffickers executed by firing squad earlier this week. For all its exotic charm and hospitable people, there is a ruthless, vicious disregard for the sanctity of human life that runs through many of Indonesia’s institutions, in particular the army, who have kept its rulers in power for much of the modern state’s existence and remain a force to be reckoned with. Two episodes in the country’s recent history stand out. The first are the purges of the mid 1960s, when gangs, supported by elements of the army, went on the rampage to eliminate undesirables ranging from communists, trades unionists, government officials and teachers to anyone suspected of leftist leanings, or simply someone the local gang warlord didn’t like the look of. By the time it ended, around half a million people had been slaughtered by these militias. The bloodbath, depicted in the recent Oscar nominated documentary “The Act of Killing”, attracted almost no attention from the outside world at the time. The second episode, also largely ignored by the international community, was is the 1975 invasion by Indonesian forces of East Timor, which forms the jumping off point for my novel Francesca. This completely unprovoked annexation resulted in a quarter of a century of oppression before East Timor finally gained its independence in 2002, at an estimated cost of a third of the population. Suharto may be gone, but with stuff like this in your country’s DNA, you’re not about to lose any sleep over machine-gunning a few coke dealers, however spurious the evidence against them or mitigating the circumstances. To me, what stands out is the shocked response from a world that by and large remained utterly indifferent to these twin tragedies in Indonesia’s recent past. Granted, communications then weren’t what they are now, but it wasn’t that long ago that Indonesia was able to wage genocide on the entire East Timorese population and get away with it. Australian Prime Ministers weren’t recalling ambassadors or engaging in personal pleas to the President to stop the killing. Eventually Indonesia did succumb to outside pressure, once they realised the war wasn’t worth the resources they were expending waging it, but it took a while. Too long for many. Francesca opens with a scene in which President Suharto is outlining his plans for Timor to the then US Secretary of State, Henry Kissinger and President Ford. In a dialogue drawn from records in the President Ford Library, both Ford and Kissinger, who know exactly what Suharto’s plans entail, happily give him the green light to proceed, requesting only the Indonesians wait until the Americans are back on US soil. Returning to last week’s events, it’s hard to conclude anything other than the uncomfortable thought that what really galvanises the international human rights community is that some of the condemned drug smugglers were Australian citizens. In other words, people whom rich, articulate westerners could understand and identify with – a son, a brother, a sister perhaps gone astray, fallen into bad company, made some poor choices, but still a human being nevertheless deserving of mercy and understanding. Unlike the faceless victims of East Timor. Francesca, a seventeen year old Timorese girl, encounters the same thing. As the capital city of Dili burns around her, she witnesses Chinese traders being lined up and shot for… well, being Chinese traders; women being raped then murdered for… well, being women; Timorese citizens being burned to death in their homes for being… yes, you’ve guessed it, Timorese citizens. When she finally escapes, she enquires as to the fate of a group of Portuguese nuns she knew. Assuming the worst, she is surprised to be told they were airlifted to safety by an Australian helicopter. Not because they were nuns, but because they were western nuns. This entry was posted in Uncategorized and tagged Act of Killing, Amnesty International, Bali 9, Betimes Books, East Timor, Francesca, Indonesia, Indonesian communist purge, Indonesian Executions on April 30, 2015 by Donald Finnaeus Mayo. It’s common practice for writers to cut their teeth on short stories. In many ways it’s understandable – take a wrong turn on a short story or give birth to a stillborn idea and you can start afresh with a minimum of time and effort down the drain. It’s not like reaching the 45,000 word point on a novel and realising you’ve hit an insurmountable wall. Little wonder shorts are seen as the novelist’s kindergarten. There are two problems with this view. First, short stories are notoriously tricky to write. Far from being a canvass for the novice, they are the preserve of the master. There are a few to whom it comes naturally; for most it does not. It’s a world in which less is more, where every word is made to count and a single line brings a character or a scene to life. The second problem, as any writer touting a handful of short stories quickly discovers, is publishers don’t like them. They’re hard to market, and unless an author has a loyal following, they tend not to do well. The mechanics of traditional publishing also work against the short story unless you have a neat collection the size of a novel, whilst the magazine market remains limited. The digital revolution could change all this. It can’t do much to curb verbosity, but the technology does mean the mechanical restrictions on short stories no longer need apply. Like music, which used to be all about singles and albums – the one feeding off the other – people increasingly download the songs they like and leave the filler. We’re yet to reach the stage where a savvy reader can download an e-book minus the boring bits, but it does suggest the short story could be about to enjoy a renaissance. 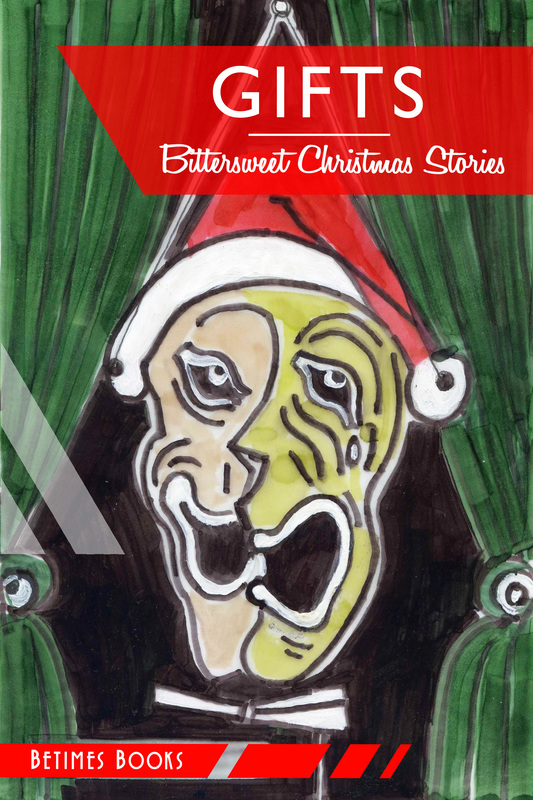 Capitalising on this flexibility, Betimes Books is celebrating its first year with Gifts, our collection of Bittersweet Christmas Stories. There’s one by each author on the imprint. It’s a great way to have a look around the list, introduce yourself to some of the writers, see what you might like to explore more of. Gifts is available to read as a free PDF or Mobi, as an e-book for £0.79/$0.99, or as a limited edition paperback for £4.79 directly from Betimes Books. My novel Francesca is also available there or can be purchased directly here. This entry was posted in Uncategorized and tagged Betimes Books, Christmas, Donald Finneaus Mayo, East Timor, Francesca, Gifts, Indonesia, short stories on December 15, 2014 by Donald Finnaeus Mayo. In many ways, it was born out of frustration. Frustration with editors who want the same formulaic junk that sold by the bucketload last year, frustration with editorial decisions being made by accountants, frustration with marketing departments who reserve their entire budget for the same half dozen or so big names, frustration with being constantly depressed by the gloomy state of the publishing industry. People still like to read good books, don’t they? I know I do. They can’t all want the latest ghosted biography from some C-list celebrity or yet another Andy McNab knock-off. So I was delighted to join the list of Betimes Books, a new imprint designed to retain the best elements of publishing (good taste, rigorous editing, high production values) whilst taking advantage of the digital revolution that, frankly, caught the traditional publishers napping. I mean, these are the guys who pretty much handed their entire digital content to Amazon on a plate. I don’t see a company like Apple letting that happen. At first it felt a little bit like being on one of those funky, indy record labels back in the nineties. But then I realised the flip side of having a multi-billion strong global audience one click away meant a whole lot more work to be done. By me. Time had to be carved out for blog posts, twitter, Facebook, new media marketing initiatives; a whole new language and skills set had to be embraced. It didn’t really matter what I thought about these innovations, they were now part of my job description. Bottom line, if I didn’t roll up my sleeves, get over my technophobia and do it, it wasn’t going to get done. The world would continue turning without me and my books. One of the joys of this past year has been seeing the way the imprint has grown whilst retaining its editorial integrity. The titles are so different, the authors have such diverse experiences and backgrounds, yet there’s a common thread that makes them recognisable as part of a stable. I think it’s the French literary tradition coming out in our founder and editor. So it seems entirely appropriate that we celebrate our first year with Gifts, our contribution to the new age of literature in the form of a collection of Bittersweet Christmas Stories. There’s one by each author. It’s a really good way to have a look around the list, introduce you to some of the writers, see what you might like to explore more of. My own novel Francesca is also available there or can be purchased directly here. This entry was posted in Uncategorized and tagged Betimes Books, Donald Finneaus Mayo, Francesca, Gifts, Indonesia, publishing on November 28, 2014 by Donald Finnaeus Mayo. 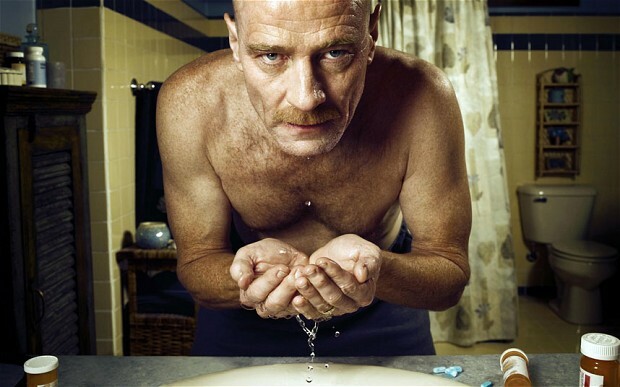 Breaking Bad, Orange, Californication… what makes these shows so damn good? Fifteen years ago I got rid of my TV. It wasn’t so much individual programmes I objected to, more the insidious effect it was having on my life. Tired, I’d sit down at the end of the day, switch on the tube and before I knew it it was time for bed. Most disturbing of all, come the morning I struggled to remember anything I had watched. Cop shows, news bulletins, dramas, documentaries, they washed over me in a blur. Although I’ve never bought another television, recently it’s crept back into my life through the back door. For a long time, I didn’t think I was missing anything at all. I’d sit at lunch in the canteen where I was working and listen to people droning on about some banal reality show and think, get a life. The radio and the internet kept me connected with the world, I could find out about pretty much anything I was interested in. Then I began to hear talk about a new golden age of television, primarily from America. At first I ignored it as marketing hype, but it continued, with intelligent, well respected critics repeating the mantra while they celebrated new shows like the Sopranos and House of Cards. With a broadband connection I was perfectly positioned to re-enter the world of television. Gone was the tyranny of the programme scheduler, intent of keeping me pinned to my sofa while show after show rolled over me between ads. This time I was in control, thanks to innovations like the iPlayer and internet subscription sites. I started tentatively, with a pilot of Breaking Bad, which seemed to be winning Emmys and getting publicity all over the place. Sixty hours of drama later, bleary eyed from too many late nights, I realised what the critics were raving about. 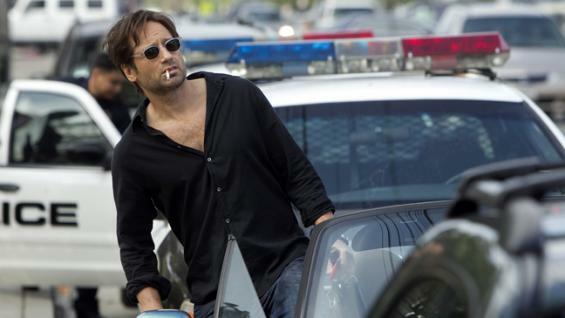 I moved on to Californication. Again, I was utterly hooked. 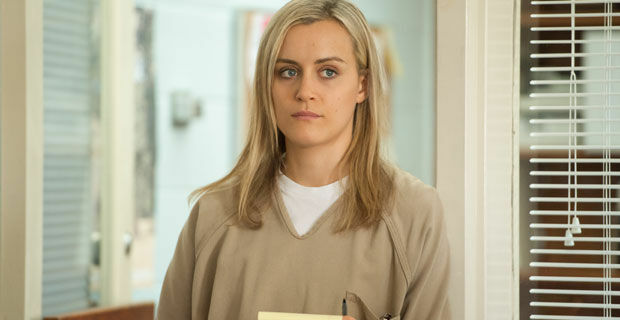 My latest obsession is Orange is the New Black. All three shows are amongst the best television I have ever watched, right up there alongside British classics such as Jewel in the Crown and Brideshead Revisited. Which led me to wonder, what is it that makes these series so damn good? As a writer, the first thing I notice is the sheer quality of the scripts. They crack along; witty, incisive, penetrating, while the characterisations are astonishingly good. There is no such thing as a two dimensional character, as with real life, everyone has the capacity to surprise. We encounter vulnerability in the worst villains, and our heroes let us down just when we have trained ourselves to rely upon them. The actors are first rate, professional men and women playing a part. For all those weary of Hollywood stars trotting out yet another incarnation of their glorious selves, this is such a breath of fresh air. The extended format of these series is another of its strengths, in that it gives the characters room to breathe, and stories time to develop. Again, it is such a relief to break free from the stereotypical Hollywood narrative arcs. I recently sat down to watch a traditional Rom-Com and fell asleep, it was so dreary, the ending so predictable. Not so with these shows, they keep you on your toes. In many ways they are the modern equivalent of the 19th Century magazine, whose content we have come to know as chapters from classic novels by the likes of Charles Dickens, George Eliot and Thomas Hardy. So, roll on the new golden age. In the meantime, you can purchase my novel Francesca, which is available along with the global television serial rights. This entry was posted in Uncategorized and tagged Betimes Books, Breaking Bad, Brideshead Revisited, Bryan Cranston, Californication, Charles Dickens, David Duchovny, Donald Finneaus Mayo, East Timor, Francesca, George Eliot, House of Cards, Indonesia, Jewel in the Crown, Orange is the new black, Taylor Schilling, The Sopranos, Thomas Hardy on November 7, 2014 by Donald Finnaeus Mayo. There was something particularly heartening about Richard Flanagan’s Booker Prize win for his novel “The Narrow Road to the Deep North”. Here is a writer at the top of his game, receiving one of the most coveted literary awards in the English speaking language, admitting that on completing the book he almost gave up writing to work in the mines of northern Australia so he could support his family. 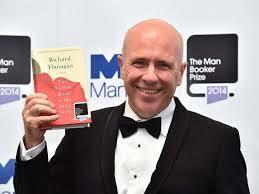 Although I’ve never met Richard Flanagan, I’ve followed his career, not without a touch of envy, for a number of years. I first came across his work when I was in Tasmania back in the 1990s working on an early draft of a novel I was writing. I was out on some wilderness tracks in the far western part of the state bushwalking with my cousin and some friends, some of whom knew Flanagan from when they had worked together as river guides. We were discussing his novel “Death of a River Guide”, which had recently appeared, and my newfound friends were chuckling at Richard’s acerbic depictions of the gormless tourists who stumbled up the Gordon River in search of authentic wilderness, and the cynical guides who took their money in return for protecting them from the consequences of their ignorance. Flanagan has always been known for his honesty, and this can make him an uncomfortable and sometimes abrasive companion, both in print and at smart literary events. It’s entirely in keeping with this character trait that he would break British protocol and embrace the Duchess of Cornwall when she handed him a cheque for fifty big ones. It’s an honesty I admire, even though I have to admit I have on occasions struggled with his style, especially when he has veered towards magical realism, a genre I have always viewed as the prog rock of literature. His acceptance speech, and the press interviews that followed, highlighted the struggle writers face to make a living from their craft. Of course no one made us take up the pen, and most of our community have ignored multiple warnings from well-intentioned family and friends, urging us to apply our way with words to more secure ends such as the law or teaching. However, it is nice for the setbacks, rejections and humiliations we face on a day to day basis to be acknowledged, and to be reminded that even the best and most lauded amongst us have had their days when they felt overwhelmed by it all and on the verge of jacking it in. So thank you, Richard Flanagan, for once again speaking the truth as you see it, and inspiring me to pick up the pen for another day. In the meantime, I look forward to getting stuck into “The Narrow Road to the Deep North”. My own novel Francesca, which is also a tale of love and war, though set in East Timor in the 1970s, can be purchased here. This entry was posted in Uncategorized and tagged Australia, Betimes Books, Booker Prize, Death of a River Guide, DOnald Finnaeus Mayo, East Timor, Francesca, Indonesia, Richard Flanagan, Tasmania, The Narrow Road to the Deep North on October 15, 2014 by Donald Finnaeus Mayo. You hear it everywhere as we approach this time of year – in the shopping malls, on the radio, the optimistic crooning from John and Yoko’s classic: “War is over, if you want it”. Seems like we don’t want it, or not enough anyway. I don’t think there’s been a time in recorded history when someone, somewhere hasn’t been fighting, killing someone else. Some months ago the British Army thought 2015 might be the first year in a century when it wouldn’t be involved in a conflict somewhere. With events in Syria, Iraq and Iran unfolding as they are, that hope looks less likely by the day. 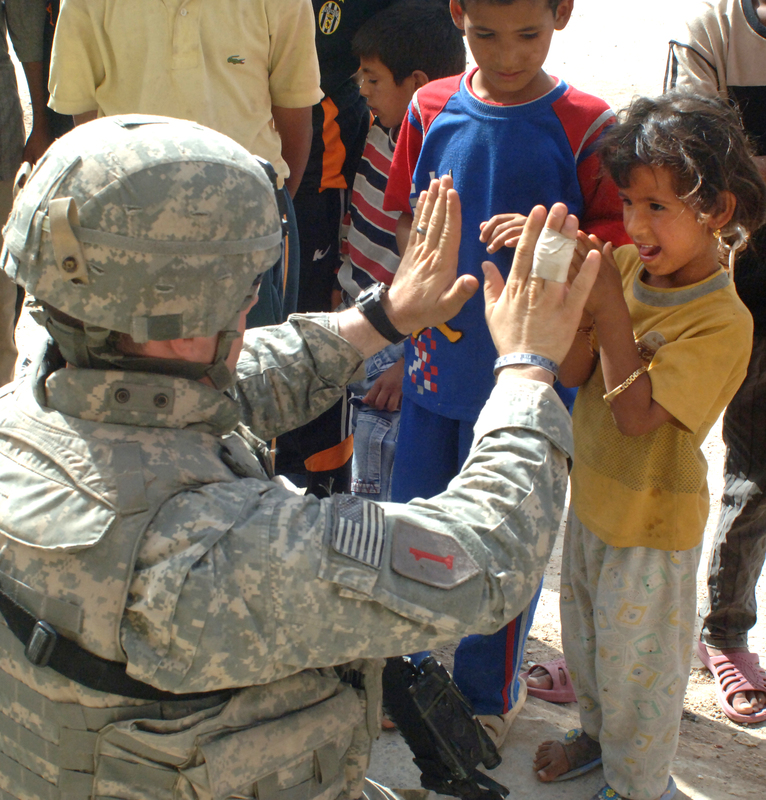 “Checking for soldiers, she set off along the street. With her awkward gait and instinctive caution, progress was slow. She took the back streets, avoiding the main thoroughfares where troops were most likely to be combing through houses. Halfway down the street adjacent to hers a kampong dog, its curled tail high up in the air, stood in the middle of the road gorging on a corpse whose entrails had been ripped open by machine gun fire. Pieces of flesh flicked out from the dog’s greedy mouth and when it glanced up at her she saw its entire snout was covered in bright red gore. The dog stared her down, reluctant to abandon such a feast. Enraged, Francesca reached down, picked up a stone from the gutter and hurled it at the animal as hard as she could. The stone struck the beast square on the shoulders and it jumped with a sharp yelp, scurrying away from the corpse as Francesca reached for another stone. It was a futile symbolic gesture, she knew, the dog would return to finish off its grisly meal the moment she was gone, but she had needed to do something to take a stand against the horror unfolding all around her. She continued her shuffle in a broad northerly direction through the routes she knew so well. There was an eerie quiet to these normally bustling back alley ways and side streets. Shops were either boarded up or spilt open, their contents looted by the invaders who could only carry so much and had discarded the rest. Where were all the inhabitants? The machine guns had kept up their sporadic firing ever since she had left her house, presumably shooting at someone. She wanted to bang on the shutters to see if anyone was inside, to find out what was going on, but she knew she couldn’t. This entry was posted in Uncategorized and tagged Amnesty International, Betimes Books, Borneo, Children in War, Christmas, Dili, Donald Finneaus Mayo, East Timor, Francesca, Give Peace a Chance, Indonesia, John Lennon, Timor Leste, Vietnam War, Yoko Ono on September 12, 2014 by Donald Finnaeus Mayo. News that two French journalists have been arrested in West Papua should come as no surprise to anyone familiar with the way the Indonesian government traditionally deals with threats to its authority. Thomas Dandois and Valentine Bourrat were arrested on August 6th, allegedly for working in the province without a proper journalist visa. The pair were shooting a documentary for the Franco-German TV channel Arte on the separatist Free Papua Movement (OPM), which has for years waged a low level insurgency campaign against the Indonesian government. Since it gained its independence from the Dutch after World War II, and certainly since the Suharto regime came to power in the 1960s, Indonesia has traditionally taken a firm stance against any internal dissent. The most well known example occurred in East Timor in the 1970s; only it wasn’t so well known because the Indonesian government managed to shut down the province, denying access to the Western media or anyone else who might have been inclined to stir up trouble. For years Indonesia was able to engage in a cruel policy of suppression that by many estimates cost the lives of almost a third of the Timorese population. 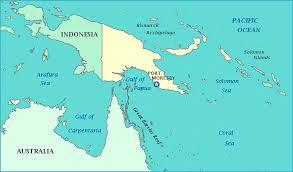 Eventually they could no longer stave off the inevitable and East Timor gained its independence in 2002. Part of the reason I wrote my novel Francesca, which is set around the time of the Indonesian invasion of East Timor in 1975, was that so few people had heard of this country and its struggles. It seemed evidence that the strategy of shutting down a troublesome region, denying access to outsiders and keeping a tight grip on the country’s internal media, worked. The thinking went that if no one knew, no one could complain, and no one would try to put a stop to it. So I am curious to see how effective this policy will be in the age of social media and instant global communications. In one sense there’s no excuse for ignorance. Anyone with a search engine and the desire to know more can get an update on the fate of Dandois and Bourrat in seconds. The question then becomes, does anyone care, and is anyone going to do anything about it? Or is the information overload just too overwhelming, a couple of lone crusaders competing for our attention against vaster tragedies in Syria, Gaza and Iraq? Are there times when too much information is even more effective than too little? This entry was posted in Uncategorized and tagged Arte, Betimes Books, Donald Finneaus Mayo, East Timor, Francesca, Free Papua Movement, French Journalists, Indonesia, Papua New Guinea, Suharto, Thomas Dandois, Timor Leste, Valentine Bourrat, West Papua on August 12, 2014 by Donald Finnaeus Mayo. On journalism, modern history and inspiration….